Cathy began playing organized high school basketball in 1975, the second year basketball was offered as a high school sport in Belle Fourche, SD. It was in 1957 when the Belle Fourche Broncs boys team went undefeated and won the State A Tournament. There were eight girls along with Cathy who played together for their entire high school career. Cathy played on teams that were very successful during that four year period. They won two conference championships, two region championships and played in two State A tournaments. In high school, Cathy was named to the Black Hills All-Conference team four years in a row. She earned All-State honors for three years and All-Tourney for two years. She was honorable mention All-American in her senior year. She set the school record for total career points (1068) which remained until 1996 when her niece, Jamie Coyle, broke it. In 1978, the Yankton Gazelles defeated the Belle Fourche Broncs in the championship game of the state tourney. The team finished with a record of 22-1 that year. During the championship game, Cathy scored 25 points and shot 9/10 at the free throw line. Cathy also scored 62 points in the tourney which also was a record at that time. Cathy went on to have a very successful career at Northern State University. 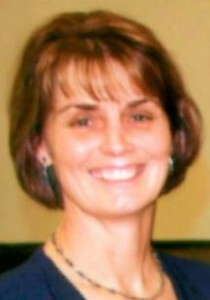 After graduation from NSU, Cathy began her coaching career which has continued to this day. She now coaches at Belle Fourche High School. Cathy has been dedicated to the game of basketball. For her accomplishments, we are proud to announce she will be inducted into the South Dakota High School Basketball Hall of Fame on March 26,2011 at the Dakota Prairie Playhouse on the DSU Campus in Madison, SD. Congratulations, Cathy!